The majority of homeowners realize they need a new roof when they see a leak in the ceiling. How can you figure out whether a roof repair is the perfect solution to the problem or it’s necessary to replace your roof? What are the signs a house needs a new roof? Probably the best roofing contractor in Ypsilanti, Michigan has helped me find the answers to these questions! Age – Typical roof lasts somewhere between 20 and 25 years, so if your roof is older than that, chances are your house requires a new roof. If, however, the old roof was removed and the newer one is properly ventilated and has only one layer of shingles, you probably don’t need a new roof. Buckling/Curling/Missing Shingles – Check out the slopes of your house which get direct sunlight and if you spot the shingles are losing granules or curling, they are ready to be changed. Also, this could be a sign of a defective roof. Make sure you call a trusted roofing contractor to check whether your household is eligible for reimbursement. Missing shingles are another obvious sign the roof might be failing, so it’s crucial to check if all shingle tabs have remained intact. Compromised Valley – In case shingles are missing or falling apart in roof valleys, it’s a warning sign your home needs a new roof. These are among the most important areas of a roof, because rain and snow are flowing through them and into gutters. 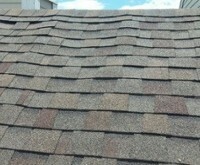 Simply, compromised valleys mean your house is susceptible to roof leaks and, unfortunately, new roof is necessary. Gutters with Shingle Granules – A roof tends to lose more granules when it’s getting closer to the end of its life cycle. 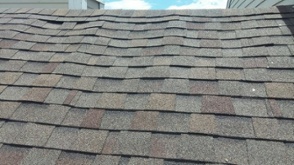 Darker or inconsistent granules on some parts of your roof could be a sign that the shingles have worn away. Check out the gutters and if they are loaded with granules, get ready for the new roof! Daylight – Check whether there’s a daylight coming through the roof boards in your attic. When you walk on the roof, you shouldn’t notice a trampoline bounce or spongy feel, because it might be a sign of the decking weakened from moisture. Moisture in the insulation means you need a new roof, too.